Bring your hat and comfortable shoes because we are going to the orchards! We’ll take a walk through the olive orchards with farmer Ian de Villiers and Linda Costa, doyenne of the olive industry in South Africa, who will explain how to grow, maintain and harvest olives. Then the man in charge of our olive production, Klaas Stoffberg, will take you on a tour of our olive oil production plant. We move from olive trees to olive oil, discussing the production process and selection of olive oils for cooking. We’ll do a tasting of faulty oils as well as some of this season’s delicious, fresh olive oils. 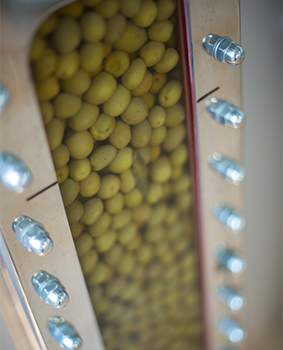 Interested in preserving your own olives? Linda will share her tried-and-tested methods. Lunch will be served at the Greenhouse Restaurant and is included in the price.